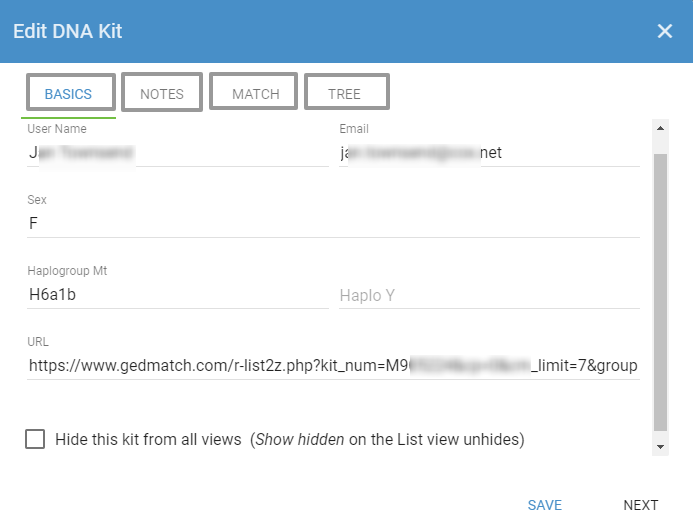 Open the Kit View by clicking on a kit number or a node in any of the views. Click on the Kit Number in the Kit View. 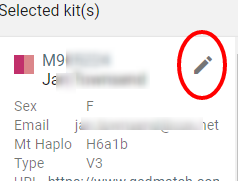 Click on the pencil icon in the upper right corner of the Kit View. The edit window of the Kit View has 4 tabs: details, notes, match and tree. The basics tab is where you record the kit owner's contact information and other basic information about the kit. Notes. The notes tab is where you record notes.